Handicrafts of Russia The vast and varied land of Russia has always been rich in distinctive folk arts and crafts that are rooted in old traditions of family handiwork and country handicrafts. Later there appeared cottage crafts working for the market, along with private workshops involved in the capital market and infrequently failing competition with factory-made goods. The late 19th- early 20th century saw the revival of folk useful arts, with the policy of contrasting them with mass industrial production of household items. Some arts and crafts in Russia are developing with support of the state today. 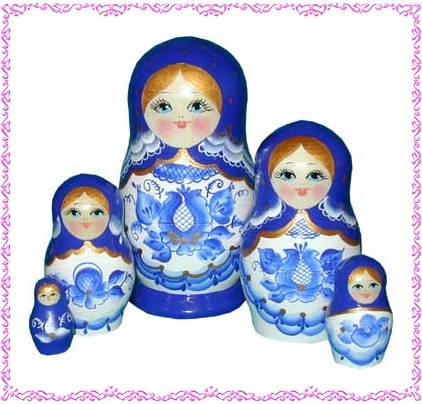 Here is a colourful array of traditional decorative and applied arts of Russia. Х	Gzhel. A style of Russian ceramic, Gzhel gets it's name from a village (in the Moscow Oblast) where pottery has been produced since the 14th century. The distinctive blue on a white (tin-glazed) surface originated in the 1830s. Today roughly thirty villages southeast of Moscow produce the unique Russian handicraft, shipping it domestically and abroad. Х	Palekh. Palekh are small paintings (often of Russian fairy tales or literary works), which are produced with tempera paints on varnished boxes or cases made of papier-mache. Х	Zhostovo Painting. Zhostovo Painting is a traditional Russian folk art in which metal trays are painted with lovely floral designs. The handicraft is still produced in the village of Zhostovo (Moscow Oblast). Х	Vologda Lace. Dating back to the 17th century, Vologda Lace was originally woven from gold and silver for the garments of nobility and church hierarchy. Today Vologda Lace has gained worldwide attention for its rich, decorative patterns and smooth lines. Х	Khokhloma. Known for their colorful patterns of red and gold, Khokhloma are painted ornamental dishes, spoons and bowls. The name itself is derived from the name of the settlement where the craft got its start (in the Nizhny Novgorod Oblast), as far back as the 17th century. Х	Matryoshka. 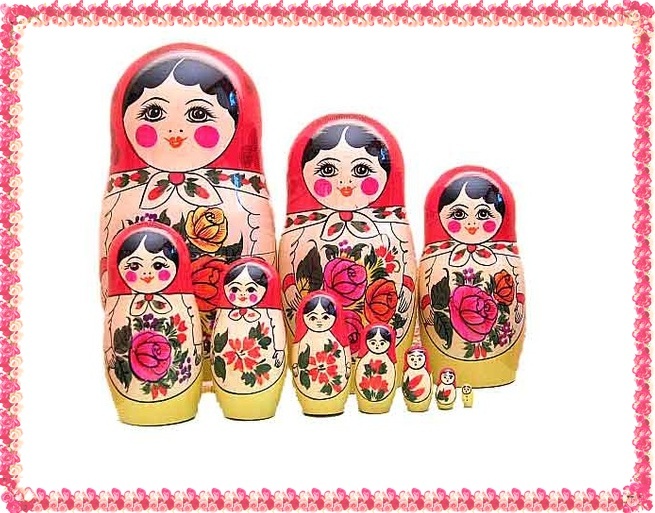 Perhaps Russia's most recognizable andicraft, Matryoshka is a painted wooden figure that can be pulled apart to reveal more "Russian Nesting Dolls" inside. 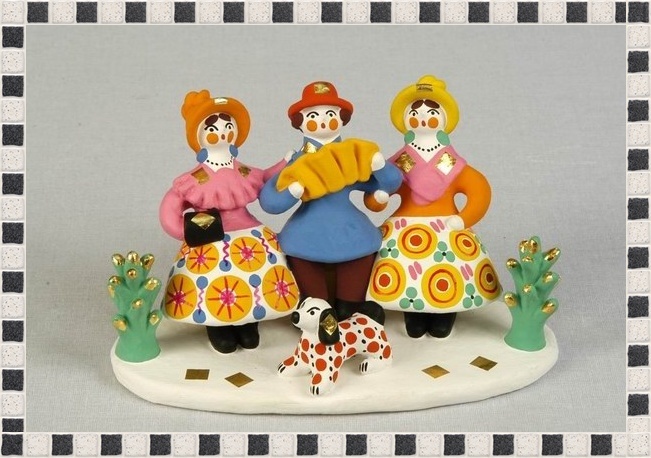 A typical theme for a Matroshka set is usually peasant girls in traditional dress, but non-traditional dolls are just as common. New, creative sets can take on just about any theme - from sports figures and political leaders, to characters in Russian folk tales and science fiction. Х	Rostov Finift (Enamel). Rostov Finift is a traditional Russian art form of painting on enamel (often on jewelry - brooches, rings, earrings). The Russian handicraft had its origins in Rostov in the 18th century when artists first painted minature icons on enamel for the church.